Type and Characteristics: One of six Pawtuxet class steam cutters built for Revenue Cutter Service. 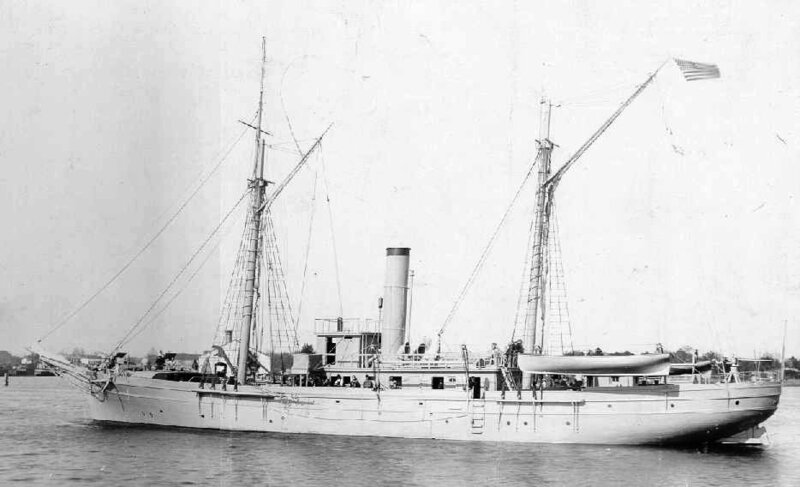 Apart from USRC Mahoning, all had short service lives because of complicated machinery and deep draft (above, Pawtuxet-class sister-ship USRC Levi Woodbury), built by Fardy & Brother, Baltimore, MD at cost of $103,000, hull of oak, locust and white oak with iron diagonal bracing, commissioned 1 September 1863, 350 tons displacement, 138ft long x 26ft 6in beam x 11ft draft, two oscillating cylinders engine, 8ft propeller, armament not known, crew of 41. Log Period and Areas of Service: 1863-1873, American Civil War, East and Southeast Coast of US, Alaskan waters. 12 May 1863 - Accepted from builder for service, ordered to New York (Civil War raging). Arrived New York on 3 June. 1 February 1865 - Ordered to Savannah, GA to form part of the "cotton fleet" convoy bound for New York. Then on 14 June reported at New Orleans "having landed Chief Justice Place and party". 11 June 1866 - Transferred to San Francisco. Reported to have arrived there on 21 December. 20 March 1868 - Received officers and crew of USRC Lincoln and ordered to Alaskan waters. Departed on 28 April, reported at Sitka on 8 September, and in 5 November returned to San Francisco. Reported there on 9th. Late 1860's - Reportedly subject to major rebuilding and lengthened by 30ft. 12 December 1869 - Departed for Alaskan waters. 6 February 1870 - Returned to San Francisco. 30 July 1873 - Replaced by USRC Wolcott; crew cross-decked to the new ship. Fate: 18 October 1873 - decommissioned and sold. 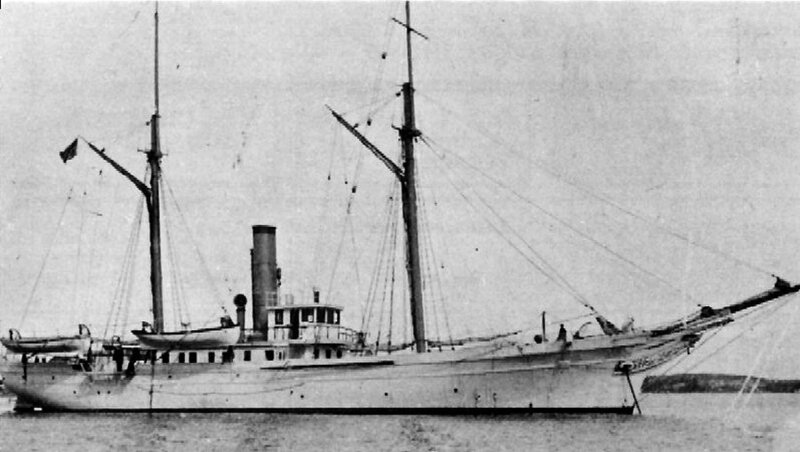 Listed in 1887 as steamer Los Angeles.